Well hello and welcome to our slice of the internet pie! You have landed yourself in our online home and if I knew you were stopping by today I would have prepared you some of my famous sweet tea or a batch of our smooth French press coffee! But we’ll just have to plan for another day. 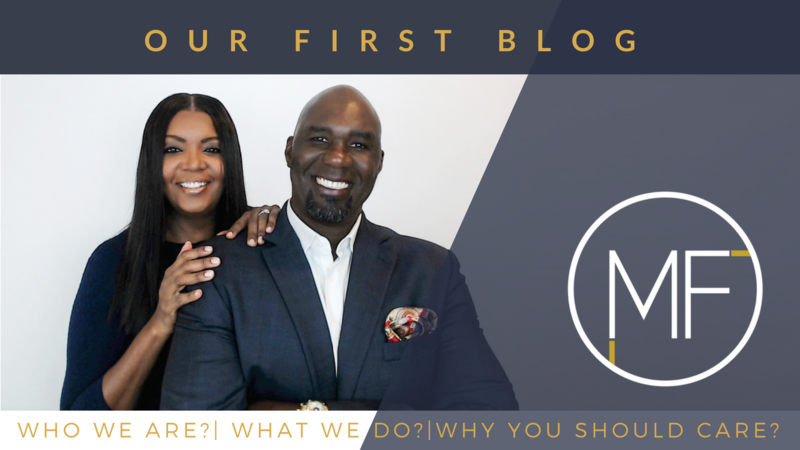 So, I’m pretty sure you have tons of questions about Victor and I (Angela) and this first introductory blog post is gonna share with you our secret sauce, who we are as business coaches, nonprofit strategist and startup consultants and how we got here. Now if you’ve been rock-in with us from our humble internet beginnings in 2016 you will know that what bought you to this page now, may not be where we started 2 years ago. We haven’t given up on our call to help nonprofits or bring education to churches about how to #GETFUNDED, we’ve just transitioned them into 3 different modalities (with their own websites), so you don’t have to sift through all the content trying to find what’s right for you. It’s easier now to simple go directly to the source (online) of our 3 companies, if you will… to find the perfect fit for us to serve you through our passion and purpose okay. So let’s get started. We are going to break this blog down into bite sized chunks, so we can include all the cool things we want you to know, and also keep ourselves inline so we don’t ramble on and on and on, because after being married for 23 year, raising 3 boys a newish daughter in law (they are 4 year newlyweds) and being blessed with 2 handsome grandbabies, you’d better believe that our lives as faith driven entrepreneurs for over the past decade has been really interesting. We can’t squeeze it all into this one post, but we will share our story with you through time, so you’re just going to have to keep coming back for more. (sorry no story on demand yet). But what I can promise you is this, we will give you everything that we’ve got to help you build a better vision for your business and your life. Because the two are connected and go hand and hand. So whether that be starting your own beauty salon, restaurant, service based business, church ministry or nonprofit one thing rings true, you definitely have to have the heart of an entrepreneur to not give us, the faith the size of a mustard seed to not give in, and a really great since of humor to know when it’s better to just laugh at yourself than to take it personal. So here goes. Well this part is easy “now” that we really know who we are in the grand scheme of things. The name on the virtual building says it all… We are The Myles Factor! So, here’s the story behind the name, just for the record, we are actually “friends” now because were sharing our heart and our story. So about 15 years ago Victor was recovering from a very invasive surgery on his Achilles tendon. During that time the Lord spoke to us about starting homes to work with the homeless. We had no idea where to start and frankly had not even considered anything in the nonprofit sector, but we did recognize the voice of God. About a year later, a Bishop from Africa spoke to Victor and said he would return back to work for just one year, then would go into ministry full time. Well almost precisely it happened, however the obstacle that took him out of work this time, wasn’t just an injury, it was a near death experience in a tractor trailer accident that landed him under the dashboard of his truck, badly bruised ribs, but not broken, with a severe case of PTSD and a TMI -traumatic brain injury that left him (at that time) with the short-term memory of a 70-year old. Needless to say, this was traumatic, but it also forced us to trust God and trust each other like never before. As Victor began to go through psychological treatments, and physical therapy, I drove him around all the time, was at every single appointment, every visit, and every prescription pick up. Not just because he had PTSD about driving, but because at times it took him a minute to recall things when asked a question, because of the damage of the TMI. Now, we had already been married for about 12 years at this time, and Victor always, always covered our family, worked hard provided for us and was very unselfish with himself. So now, it was my turn to cover him. No one would ever wonder if there was something wrong with him, if something was a little off, or why he could not respond quick enough. So, if he ever needed it, I would quickly and gently whisper the answer to whatever question was being asked to him, so that he could continue to converse as normal. We became inseparable, and from that time forth, we got used to being together all the time. So fast forward to just a few short years later, as we would show up to meetings and gatherings within our networking circle, people would simply announce “The Myles are here …. or oh look it’s The Myles!” Never there is Victor or there goes Angela, we were The Myles because we branded ourselves as a team. Now, the word factor means a circumstance, fact, or influence that contributes to a result or outcome (thank you Google), so when we knew we would launch another segment of our business to deal with contributing to the outcome of the visions of individual visionaries, dreamers, leaders and entrepreneurs, we became The Myles Factor. So, remember earlier I told you that we started out in one type of business then transitioned to 3 different modalities, well let me explain them so you know exactly what we do here in this virtual building, and you know what you can expect from us here, okay. In 2016 when we transitioned from being Nonprofit CEO and COO after serving others for over 10 years, the desire to serve did not just magically go away. We knew immediately that we wanted to help others understand how to do what we had done for years, but on an even greater scale. And since developing other businesses (yes these were filled with our taxes, had separate bank accounts and had their own EIN numbers), so we weren’t just in it “for play”, we have been approached by so many people who want to start businesses other than just nonprofits, but these are still faith centered people. Some are Pastors or ministers and they want to create something that belongs to them where they can generate income, leave a legacy and still profess their faith in Christ but just are not too sure on how all those moving pieces fit together. More than anything else, what they were drawn to was structure, management, and operations in a way that we made “look easy”. Well, the Lord clearly spoke to me in December of 2017 and told me “Don’t forget about my people”, and His people that He referred us to is “The Church”, the body of believers “as a whole” and those as individuals who make up the body of Christ. So here is how that breaks down. 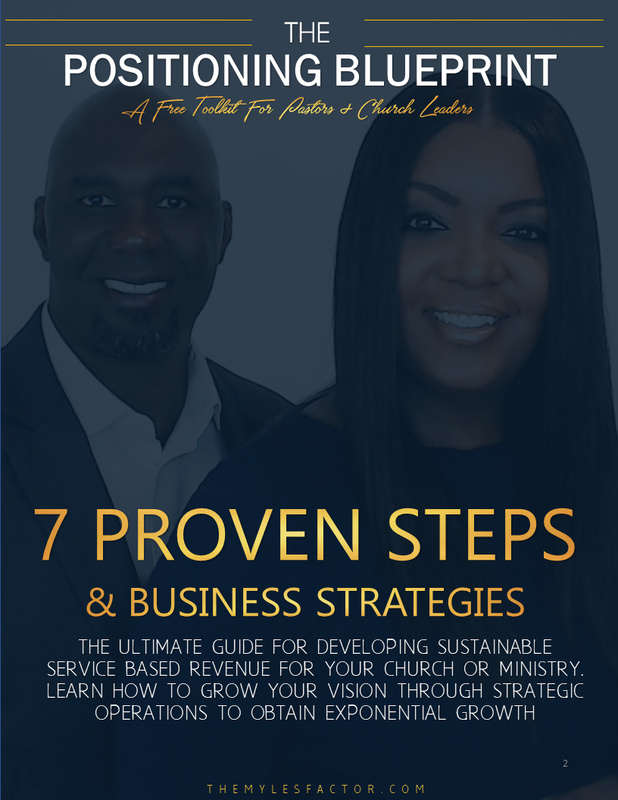 We help you, as a new or early stage faith driven entrepreneur develop your business infrastructure, so that you can make more money, operate effectively and have long term success without the fear of failure, overwhelm or going under. We do this by teaching you how to plan, how to process and how to profit. I will never forget in May 2016 at our ministry’s Abundant Business Leaders breakfast, speaking to Pastor Torrian Scott (who is now the Pastor of Harvest International Church in Brea, CA and founder of Kingdom Leadership Academy), and he spoke focused a word of clarity to us of how God had given us an Apostolic anointing in Business. We knew then, that this call was different and that this was us doing “the work”. He invited us to a special marketing event that next week, in Irvine, CA. with Adam Imob Flores for The Business Club Academy LIVE event. The Myles Factor- Visionary Business Strategist & Coaches to Pastors and Faith Leaders. Teaching them how to clarify and execute a sustainable vision. Because they are positionally entrepreneurs. The Fund|Able Church- Our new educational online resource center that teaches churches and nonprofit ministries how to set up community programs that #GETFUNDED and how to become #GRANTREADY. VMA Consulting LLC- Our Documentation and formation services company that provides clerical services to churches and faith-based leaders who want to Start a nonprofit church, or community based organization. For over 12 years now we have worked to build businesses from the ground up, or help others fix the ones they have. Whether that be a business, nonprofit, church or community program. We have helped to manage events for others and their ministries as they hosted Dr. Juanita Bynum, Bishop Hezekiah Walker, and James Fortune and FIYA. We have done everything from catering, to graphic design to wedding and event coordination and grant writing to LLC and nonprofit formations. We’ve worked with churches, actors, ministers of dance, Pastors, local and county governments and our local community. We are ministers of business and infrastructure development specialist. We get business, we operate in excellence, we breed sustainability and we plan for growth. We build strong foundations. You need help getting your vision off the ground. You need to know how to come out of one day mode to actually launching your business. You need step by step instructions on what to do and what not to do to manage the day to day operations of your business. You need to know the shortcuts, the tools the systems and the processes that are going to make you successful in business. You need a place to land and some virtual mentors to listen to, that only have your best interest at heart because we were called to this. You need us…and we need you friend, to reach millions of lives through your hands by building God’s kingdom with a purpose driven mindset and an openness and willingness to learn, serve and give. If you have specific things you want to know about starting, growing and building your business, drop us a comment below, and let us know, so that every week we create something with you in mind, God’s people. We'll give you tips on how to BUILD a better nonprofit business, how to cast your BIG vision, and how to DEVELOP better leaders. By entering your information, you agree to receive information and promotions from us. Per our privacy notice, you can unsubscribe at any time.